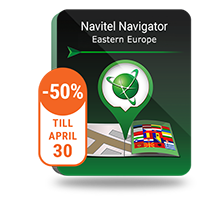 In addition to the popular online services "Navitel.Traffic" with full-map coverage and the most detailed information (in the opinion of magazines "Computerra" and "Mobile News"), "Navitel.Weather"(info about weather in any city or town provided by "GisMeteo"), "Navitel.SMS" (fast and easy coordinates exchange), "Dynamic POI" service provides Navitel Navigator users maximum comfort while using modern navigation services. - Detailed information about cafes and restaurants, including special offers and telephone numbers for bookings, etc. 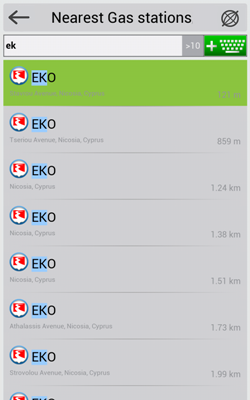 To see information about needed POI, you can find it in the "Nearest" menu, or find point on the map and open the detailed info about this point. If the Internet connection is on, the needed data will be downloaded automatically. 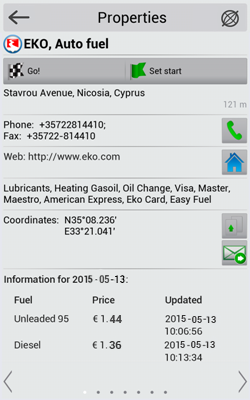 Dynamic POI service is absolutely free for Navitel Navigator users, but for updates you need internet connection (GPRS, WiFi, etc...).